Low-carb diets can help you lose weight through hormonal control, increased satiety and a reduction in overall calories. Carbohydrates are the sugar molecules in many of the foods you eat. They are found in grains, sugar, fruits and vegetables. The amount of carbs you eat in each meal directly affects your blood glucose levels. For a diabetic, eating a low-carb diet can help aid in blood glucose control, reducing the risks of chronic disease associated with diabetes. For weight loss, less blood sugar means less of the hormone insulin, which works to promote energy and fat storage. Less insulin means you burn more fat. 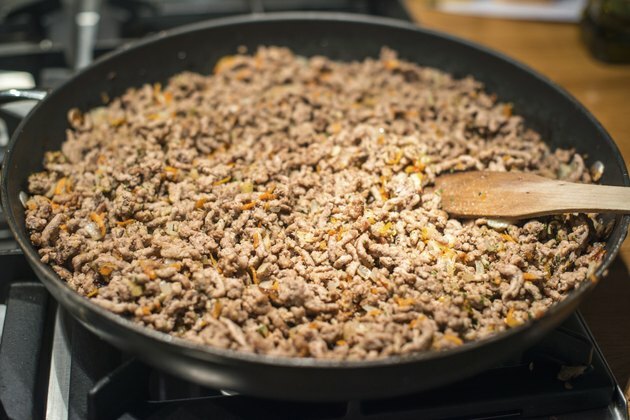 Whatever your reason for seeking low-carb dinner ideas, use ground beef and a few other ingredients you most likely have in your fridge or cupboard to make healthy low-carb meals. 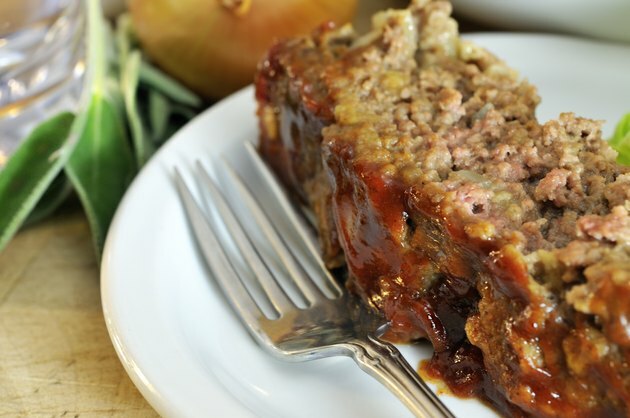 Making a low-carb meatloaf dinner is easy. Instead of using store-bought breadcrumbs, toast a couple of pieces of low-carb bread and put them into a food processor. Most low-carb breads contain just a few carbs per slice. Add flavor to your meatloaf by mixing in vegetables, such as mushrooms, carrots or green beans. Serve your main course with a side of non-starchy, low-carb veggies like some sauteed leafy greens. Non-starchy veggies contain just about 5 g of carbs per 1/2 cup cooked or 1 cup raw. 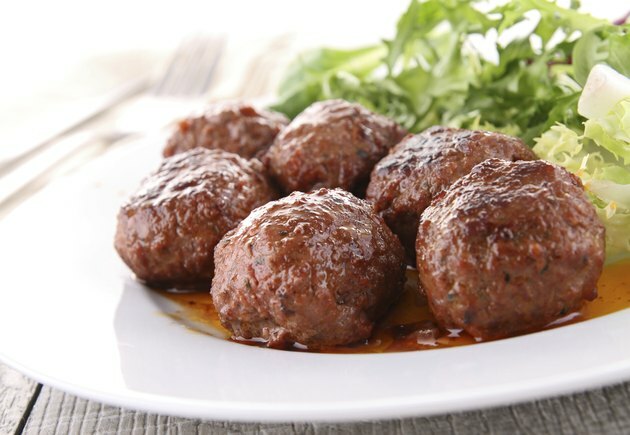 Ground beef, a little seasoning and cheese makes for a delicious low-carb meatball. Simply blend beef with seasonings, some eggs and Parmesan cheese. For this meal, skip the pasta and serve meatballs alongside zucchini noodles. Just slice zucchini into long strands of "fettuccine," remove the excess water and top it with your favorite low-carb spaghetti sauce. 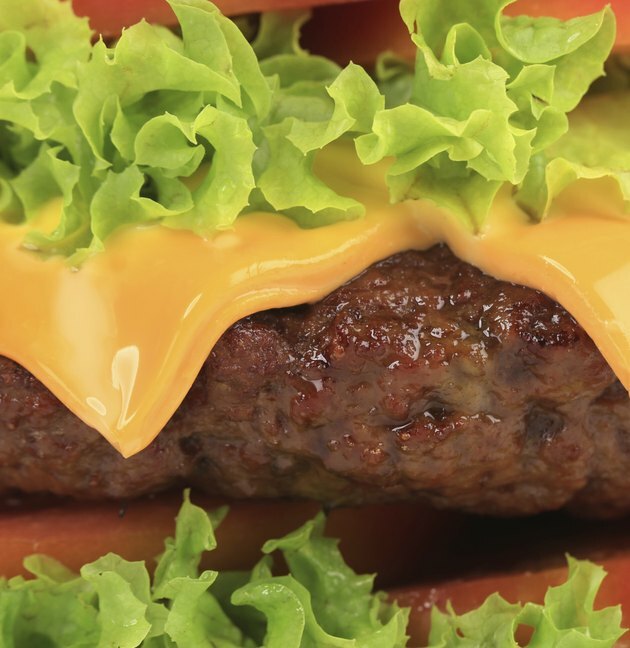 To make a burger low-carb, skip the bun and wrap your burger in a large lettuce leaf. For an extra kick of flavor, add cheese and tomato into your burger mix, along with your favorite spices. Serve the burger alongside some grilled asparagus, another non-starchy vegetable, or prepare a low-carb coleslaw of cabbage, carrots, mayo and mustard. 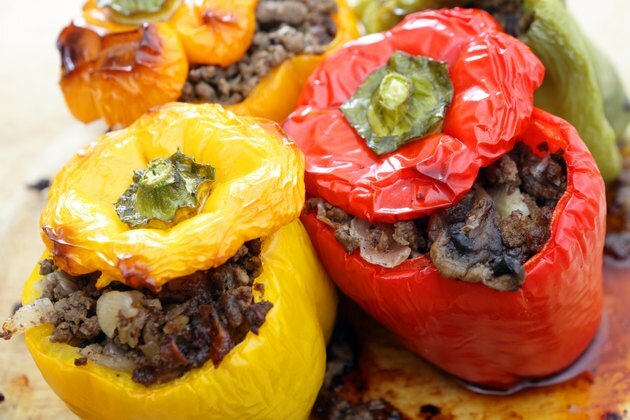 Add freshness to your low-carb diet with a pepper that is stuffed with ground beef, seasonings and cheese, then baked. Omit breadcrumbs and top the pepper with low-carb spaghetti sauce. Serve with a tossed salad full of low-carb veggies like lettuce, tomatoes and cucumbers, topped with a low-carb dressing.